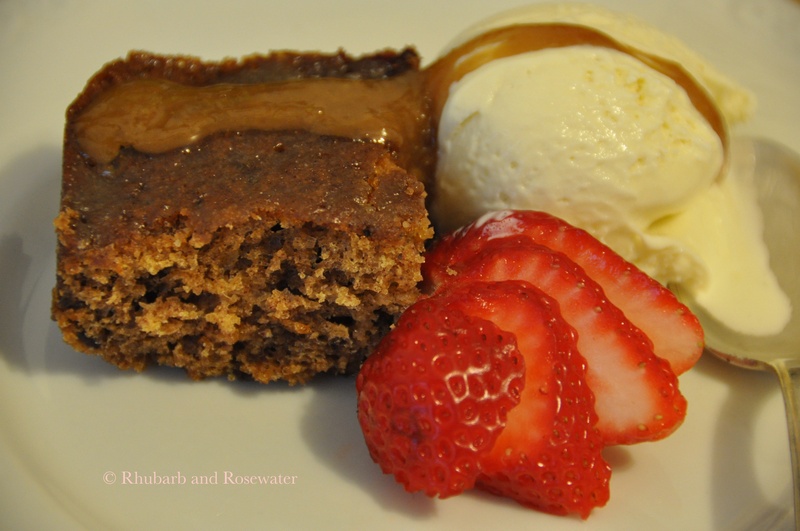 This classic dessert is easy to make and so delicious! I found the recipe by chance on the website of the Foodnetwork and the result is so wonderful that I decided to share it, even if it is not one of my own recipes. Here it comes. 1.) Preheat oven to 350 degrees. Butter a 10-inch round or square baking dish. 2.) 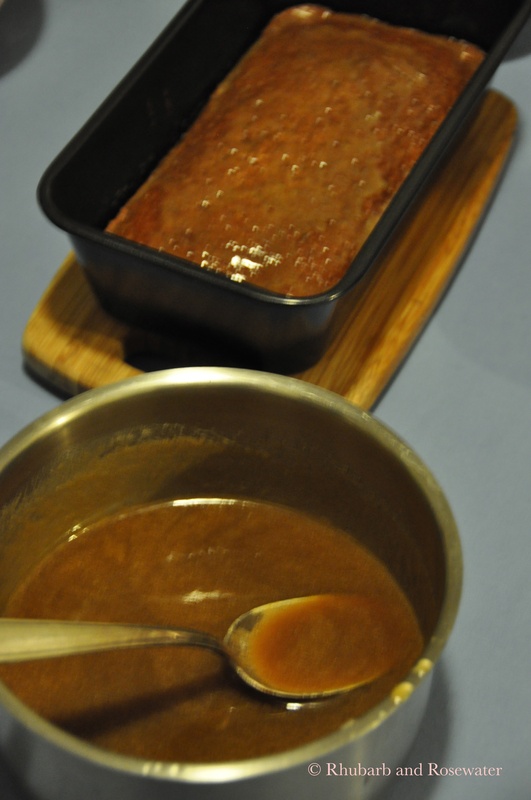 Place the chopped dates in a small bowl and add the boiling water and baking soda; set aside. 3.) 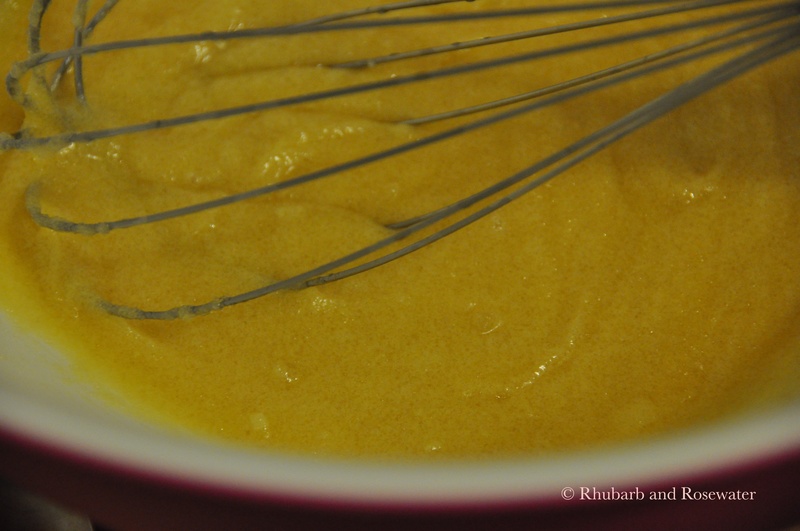 In a bowl of electric mixer beat the butter and sugar until light and fluffy. 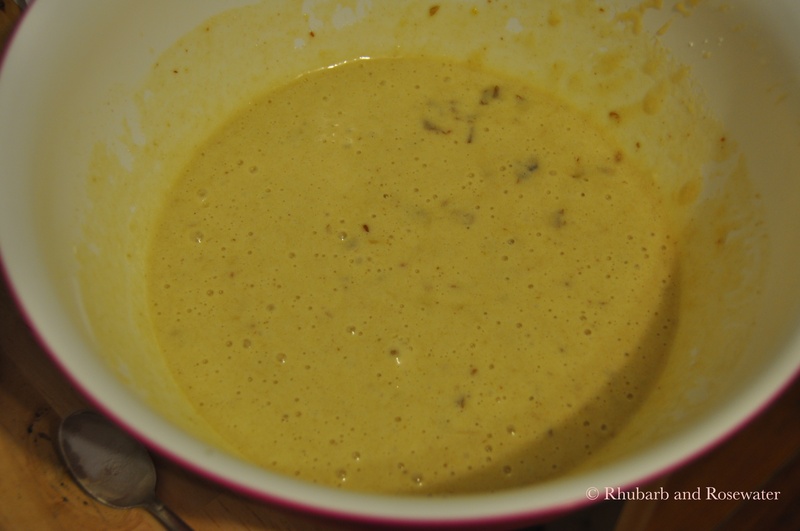 Add the egg and vanilla; beat until blended. Gradually beat in the flour and baking powder. 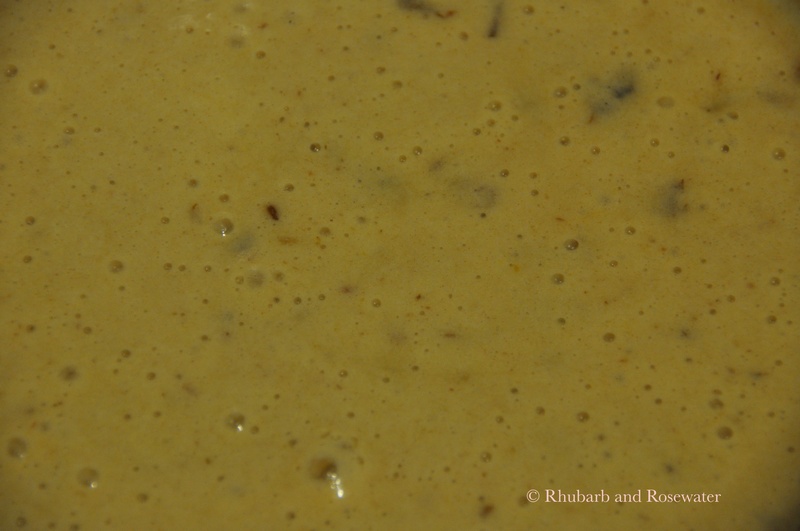 Add the date mixture to the batter and fold until blended with a rubber spatula. Pour into the prepared baking dish. 4.) 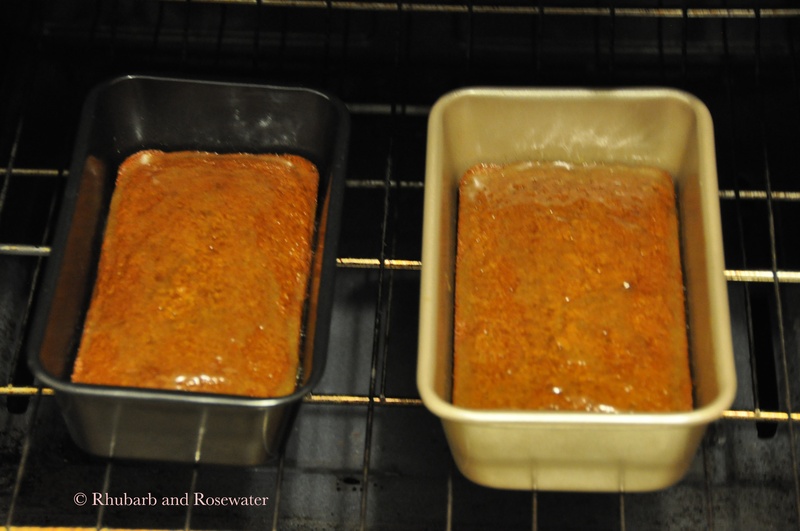 Bake until pudding is set and firm on top, about 35 minutes. Remove from oven to a wire rack. 5.) 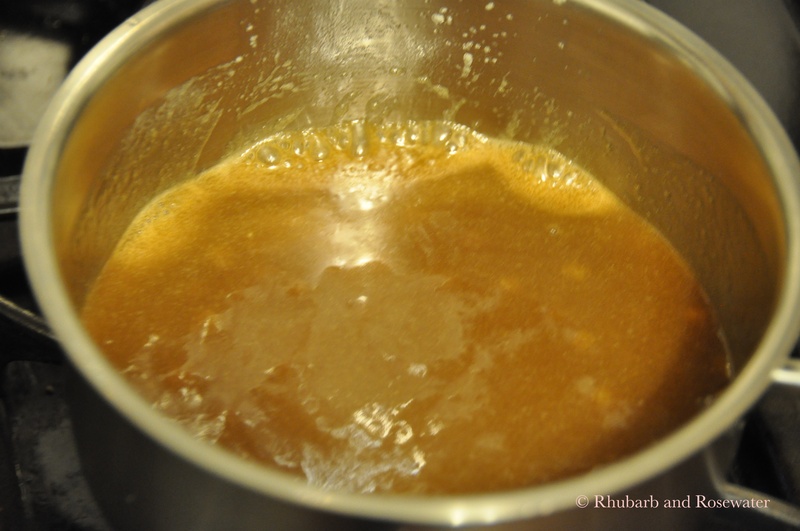 Toffee Sauce: Combine the butter, heavy cream and brown sugar in a small heavy saucepan; heat to boiling, stirring constantly. 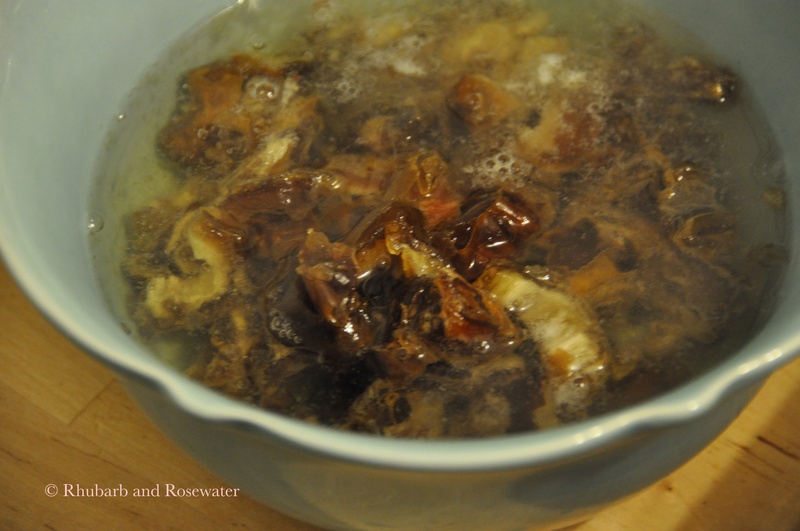 Boil gently over medium low heat until mixture is thickened, about 8 minutes. 6.) Preheat broiler. Spoon about 1/3 cup of the sauce over the pudding. 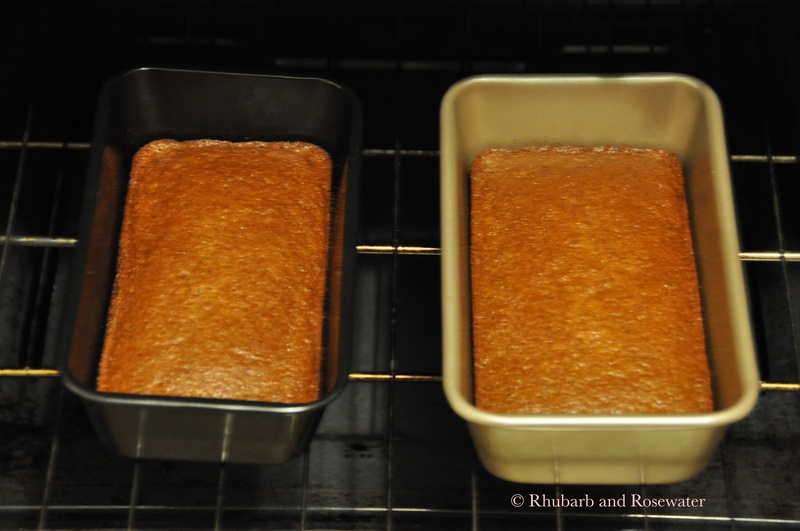 Spread evenly on top. 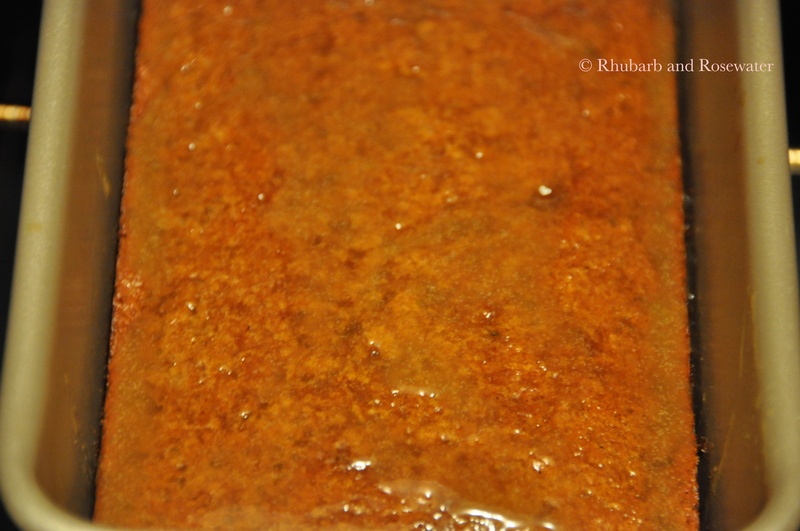 Place pudding under the broiler until the topping is bubbly, about 1 minute. Serve immediately spooned into dessert bowls.